At The uprising in Syria will have a tremendous influence on the future strategic landscape of the Middle East. The struggle inside Syria between the Alawite regime and the amalgam of opposition forces is the battle-ground for powerful regional players: Iran’s Shi'ite coalition against the recently reborn and assertive Sunni alliance. 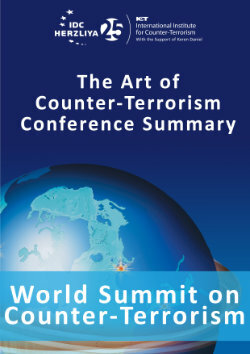 The international community has been unable to reach an agreement to solve the Syrian crisis, divided as it is between, on the one hand, the anti-Assad bloc: the U.S. and its allies, amongst whom can be counted the 110 countries who participated in recent "Friends of Syria" conferences; and on the other, pro-Assad Russia, China and Iran. This has produced an unstable deadlock, a "limited cold war" (a description given by former Iranian diplomat Mohammed Ali Sobhani), but one that constantly threatens to transmutate into a "hot" war in Syria with the active participation of armies and proxies from all sides. The analyses, predictions and scenarios of experts based in the Middle East shed some light on the complicated events and repercussions of what is happening in Syria, and these opinions are surveyed below. If Bashar Assad’s regime falls, Iran will be the main loser. Tehran suffered a serious blow when Hamas abandoned the so called “axis of resistance” (the pact between Iran, Syria and their proxies) and its leaders left Assad’s sinking ship like thieves in the night. It was a predictable step by Hamas, the Palestinian branch of the Muslim Brotherhood, which had enjoyed, until then, membership in (what I refer to as) the “coalition against nature” (see at www.carlisle.army.mil/proteus/docs/karmon-iran-syria-hizbollah.pdf) - allying themselves with the very regime that butchered the Syrian Muslim Brothers in 1982. Until now, Hamas has been an important Palestinian and Sunni asset for Iran’s legitimacy in the Arab world and a helpful proxy in its fight against Israel. Hamas leaders returned to their natural Egyptian Muslim Brotherhood home, building on a symbiotic Islamist relationship in order to successfully challenge the Fatah-controlled Palestinian Authority first, and Israel next. The recent visit by the Emir of Qatar, Hamad bin Khalifa al Thani, to Gaza is a clear sign that Hamas is now part and parcel of the Sunni coalition (with Egypt, Saudi Arabia, Turkey and Qatar) against the Iranian Shia-only coalition (Syrian Alawites, Iraqi Shiites, and Lebanese Hezbollah). Qatar’s ambitions go further. In a recent analysis of Middle East’s changing geopolitics, Dr. Mehran Kamrava, professor at the Georgetown University Qatar Branch, claimed that “The power structure in the Middle East and the Persian Gulf is changing and it is directed towards Qatar.” Qatar’s political, financial and military support for the Syrian opposition, after its intervention on the ground against the Gadhafi regime in Libya and its financial support to the Muslim Brotherhood and the Salafists in Egypt, indeed testify to its growing role in the region. There are various viewpoints on the utility of the border skirmishes: Some analysts believe that Syria's objective in launching shells on Turkey’s border regions is to create a foreign war to cover up its civil war. Others suggest that Turkey sees developments in Syria as an opportunity for proto-empire building, sometimes called a "Neo-Ottoman revival." Syria is keen to punish Turkey for these geopolitical ambitions, whether by shelling Turkish territory or by exploiting the conflict between the Kurdish PKK and Turkey to damage Turkey. Alaei notes that Iran would make efforts to prevent Turkey from declaring war on Syria – but in the case that these efforts were to fail, he hints that such a changed situation could lead to possible Iranian intervention, on behalf of Syria and against Turkey. If Assad falls, the political system of Iraq will face a significant challenge. A former Iranian deputy foreign minister, Sadegh Kharazi, has pointed out Saudi Arabia and Qatar’s various efforts to weaken the Shia–dominated Iraq's stability, but so far they have not succeeded. It is with this in mind that Iran’s Defense Minister Vahidi visited Baghdad at the beginning of October, the first trip of its kind. 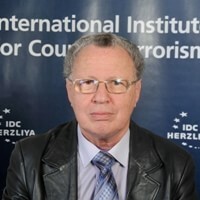 The visit’s importance has been highlighted by Hossein Rooyvaran, an Iranian expert on Middle East affairs, describing it as “a type of aggressive diplomacy”. He notes further that Iran and Iraq's cooperation has deepened because of the crisis in Syria, and the threat of turmoil spreading throughout the region is a clear opportunity for the strengthening of relations between Iran and the Baghdad Shia government. Russia, which supports the Assad regime in order to safeguard its assets in the region - its naval base in the Syrian harbor of Tartous and its presence in the strategic waters of the Mediterranean - recently proposed organizing a “Taif conference between all the players of the conflict," in the words of Russian Deputy Foreign Minister Mikhail Bogdanov. He was referring to an agreement signed in the Saudi city of Taif that brought the Lebanon civil war to an end in 1990. Many Iranian political analysts believe that any decision regarding the political future of Syria will be postponed until after the U.S. elections. The Iranian Mohammed Sadegh Al-Hosseini stresses the threat of a “Syrian Taif” scenario to the Assad regime because in his opinion this “will break the back of the resistance” and therefore Syria’s allies, Iran, China and Russia, cannot approve it. He predicts that the Syrian army, transformed by Hafez Assad “from a national army into an ideological army” which proved its loyalty to the central government, in spite of some desertions, “will never collapse,” as it happened to the Lebanese army. Amid indications of diplomatic failure, Iran hosted an international conference on Syria to discuss the possibility of ending the bloodshed there, but it failed to meet its goal of bringing together at least a dozen foreign ministers to discuss the crisis. Foreign Minister Ali Akbar Salehi said in an interview that "Iran seeks a solution that is in the interest of everyone” and “opened the door to including Syria's opposition in a national dialogue.” It seems that Iran is searching for the right price for dropping its support to President Bashar Assad, as it is aware that sooner or later, Assad will fall. The worst-case scenario would be the formation of an Alawite statelet, or mini-state, where the backbone of the Syrian Alawite army would retreat with most of its heavy weaponry, part of the air force plus the chemical weapons it possesses, as an insurance card against a bloody offensive by the Sunni opposition on its last stronghold. Back in July of last year Michael Young, the Beirut Daily Star opinion editor, was one of the first to suggest the prospect of an Alawite statelet in northwest Syria if the regime arrives at the conclusion that its days in power are numbered. Young warned that if “the Assads manage to retreat to an Alawite fortress, the repercussions in Lebanon (not to say Iraq) could be frightening.” One scenario he proposed would be a completely new kind of cooperation between Hezbollah (and other Shi'ites) and Lebanese Christians, who might together support an Alawite statelet, a “de facto scheme of disconnection from Lebanon” as the single nation-state it is now. This would be a desperate move, but one that is still preferable to the threat to these groups of a Lebanon dominated by victorious Syrian and Lebanese Sunnis. In such a scenario, mentioned today by other pundits, an Alawite regime could count on the deterrent presence of an Iranian expeditionary force and the strategic support of Russia, which would retain its naval presence in Tartous and possibly receive Latakia's port as a gesture of thanks. It is clear to all the analysts and pundits that Syria and the countries of the Middle East will be very different entities in the near future, but the end game remains open. 1. “Golan Heights War Games Are Israel's Warning to Iran,” by former Mossad head Efraim Halevy. 2. Hussein Agha and Robert Malley, “This Is Not a Revolution,” a very comprehensive and realistic picture of today’s Middle East. 3. “All-out Middle East war as good as it gets” by Spengler.